Since its introduction, over half a million women in America have chosen Essure over tubal ligation surgeries. It’s a permanent method of birth control, an implant that works to form scar tissue in the fallopian tubes which blocks sperm and therefore prevents fertilization and pregnancy. With more and more women using Essure, reports of side effects have increased; they include pain, pregnancy, complications that require surgery to correct, and death. Walton Telken is currently accepting clients who want to seek damages for the injuries caused by Essure. If you or a loved one experienced any of the negative side effects of Essure, call us toll free at (844) 307-7349 for your free consultation; an attorney will listen to your story and discuss your options and help you decide what would be your best course of action given your particular needs and wants. When you hire an attorney and file a lawsuit, you could be eligible to receive reimbursement for your medical bills, lost wages, and other things. Having one or more of these side effects and deciding to have the device removed will require surgery, but that’s not the worst that can happen; many women also require hysterectomies and other surgeries in order to get better. These surgeries can greatly impact your overall physical and mental wellbeing. If you have suffered any of these side effects or complications, you may be entitled to compensation for the physical, mental, and financial repercussions you experienced. Call us today so we can start fighting for your rights. After a clinical study ordered by the U.S. Food and Drug Administration (FDA) found certain risks associated with Essure, Bayer (the pharmaceutical company that manufactures Essure) was forced to feature a black box warning on Essure packaging. Only those prescription medications that have the potential to cause harmful and even fatal side effects carry black box warnings; the warning is intended to alert consumers of the dangers of the device. If you were injured or someone you love died after using Essure, call to talk to one of our knowledgeable, experienced attorneys today. If you have been injured after you had Essure implanted, you are not alone; in fact, of the hundreds of thousands of American women that have had Essure implanted, thousands report problems and complications caused by it, and they have created a citizen’s petition asking the FDA to retract its approval of the device. It’s not just patients that have recognized the risks associated with Essure. In 2015, the FDA created a panel comprised of clinicians, medical societies, non-profit organizations, as well as patients and their families to thoroughly assess the dangers associated with Essure. When provided an opportunity to comment publicly, almost 3,000 individuals provided input and voiced their concerns regarding the device; doctors, patients, and others are waiting for the FDA to report its findings, conclusions, and any recommendations, including a possible retraction of its approval of the device. Hundreds of thousands of American women research their best options for permanent sterilization every year; for those who prefer to avoid having a surgery with potential recovery times and complications, Essure has offered a viable solution – but at what price? Although promised near-100 percent effective, Essure has many potential complications; that isn’t what patients were told when they were given the device, and for that failure to provide adequate, accurate information, Bayer should be held responsible. As a pharmaceutical manufacturer whose sales reach approximately $50 billion annually, it is incumbent upon Bayer to maintain accurate records of the side effects and effectiveness of its medications and devices such as Essure. Instead of performing their due diligence and conducting the appropriate research before allowing doctors to recommend and patients use the device, Bayer failed to do so, and they’re making billions of dollars every year, even though patients are suffering and dying. 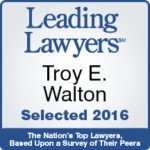 Contact The Attorneys at Walton Telken Today! If you have been injured, or if a loved one was killed after having the Essure birth control device implanted, you should consider your options – one of the best ways to get the compensation you deserve and make sure that no one else has to endure what you or your loved one endured is to talk to a knowledgeable St. Louis attorney. Please call to talk with one of the very experienced personal injury attorneys with Walton Telken toll free at (844) 307-7349 today. Together, you can chart a course in the direction of your choosing, based on your unique needs and preferences. You deserve compensation for all that you’ve been through, and hiring an attorney to help guide you and stand by you through this complicated, overwhelming process can make all the difference in the world. Essure use can result in expensive surgeries and subsequent medical bills for which you should not be held personally responsible. Instead of carrying this tremendous, unnecessary burden by yourself, hold responsible those that allowed this harmful device to impact so many innocent individuals, including yourself. Please call the attorneys at Walton Telken today to get the compensation you deserve. And because we take cases on contingency (which means we don’t get paid unless and until you do), you have nothing to lose.